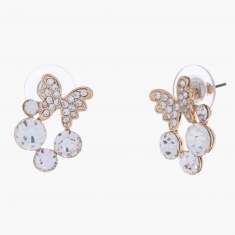 Lend yourself a trendy accessory with this attractive pair of earrings. It comes with an alluring butterfly-shaped studded pattern adding to its charm. The crystal embellishment adds to its charm.